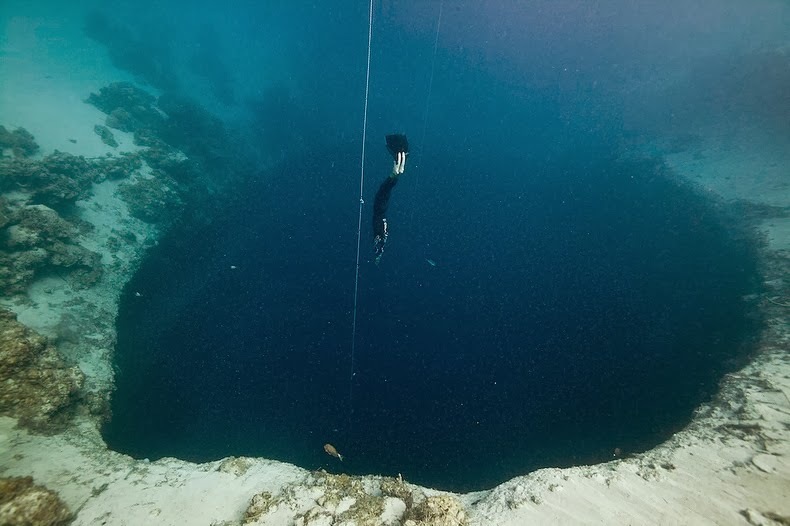 A blue hole is a water-filled sinkhole with the entrance below the water level. It is likely formed by rainwater soaking through fractures of limestone bedrock onto the watertable. Sea level since changed leaving the whole under water. During the ice age, some 15,000 years ago, sea level was considerably lower. 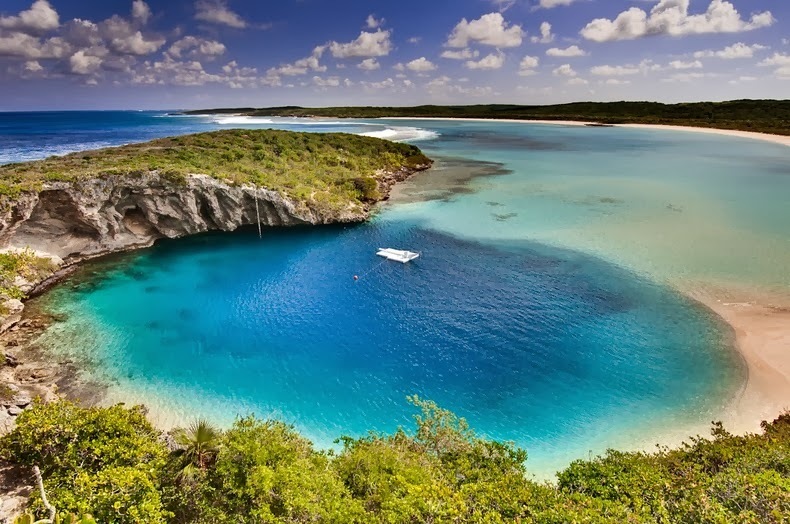 Dean's Blue Hole is roughly circular at the surface, with a diameter ranging from 25 to 35 metres (82–115 ft). After descending 20 metres (66 ft), the hole widens considerably into a cavern with a diameter of 100 metres (330 ft). A secluded 100-feet-deep freshwater pool so pristine that it glimmers with a shade of cobalt blue. Might be paradise but in fact it is Dudu Blue Lagoon.